Whenever there is any conversation about healthy food , grapes do not get much of an attention. In fact , Grapes are much more associated with grape products, wines but this fruit has lot of health benefits ranging from its antioxidant ingredients to its good effects on brain and heart health. The variety, portability, flavor and texture of grapes have made grapes immensely popular as a finger food in several nations all over the world. 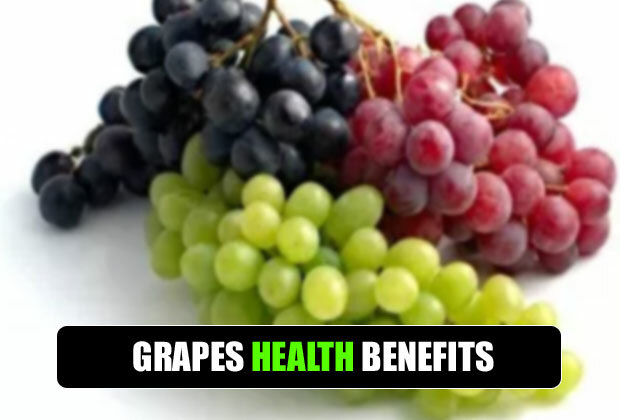 There are potential health benefits if you consume grapes as several studies in the past have proved that regular consumption can lead to prevention of various ailments like constipation, high blood pressure, cancer and different types of heart diseases. Unfortunately , Grapes contain high natural sugars.Its moderate consumption can be fine but if you consume it in juice form it can very well lead to obesity. 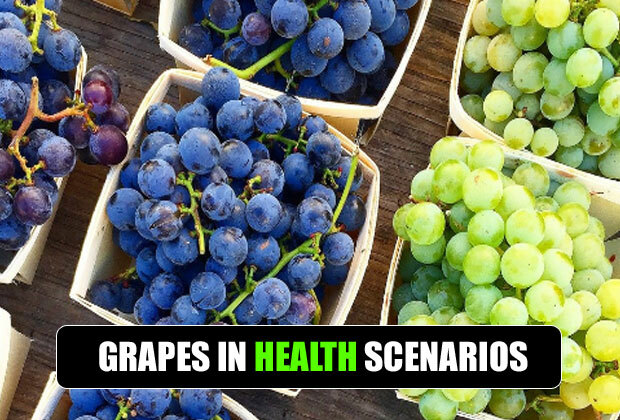 As we have discussed above that grapes are high in carbohydrates and sugar so drinking straight fruit juice causes spike in blood sugar level. The acidity in grapes depends upon the climatic conditions and geographic location.The Grapes grown in cold climates have been found to be more acidic than the one grown in hot climate.In fact , people with the problem of acid reflux should try grapes if their body can tolerate. The high amount of potassium coupled with hight water content makes grapes an effective diuretic fruit.In this scenario it can be beneficial for kidney disorders. Grapes are rich in antioxidants. In fact black grapes contain antioxidants and vitamin E which encourage blood circulation in the scalp.Consequently , it prevents hair breakage , split ends and early grey hair. Grapes fruit is rich in fibre and water.As a result , they keep our intestine hydrated and promote regular bowel movement thereby preventing constipation problem. Antioxidants: Grapes are known for its antioxidant properties. Grapes contain an ingredient called phytonutrients such as quercetin, catechins etc., carotenoids, phenolic acid and last but not the least stilbenes. Antioxidants in grapes are mostly concentrated in the skin of this fruit and its seeds. The flesh or pulp of the grape constitutes of only 1/20th to one-1/100th the antioxidant level. Anti-Inflammatory properties: An antioxidant called reserveratrol is found in grape products and grapes; for instance wine has anti-inflammatory advantages. Grapes contain both antioxidant and anti-inflammatory properties that provide a host of health benefits. Good health for heart: It is an established fact that red wine has several health benefits related to hearts and so do grapes. Grapes feature high anti-inflammatory and antioxidant properties that can bring down the level of cholesterol, regulate human blood pressure and reduce blood clotting. In 2006, a study conducted by some researchers from the University of California –Davis came out with a finding that those people who are at the risk of suffering from a heart disease or with metabolic syndrome had a drop in their blood pressure after taking grape seed extracts. A study conducted on animals by the University of Michigan explored that the rats who were given a grape supplement of black, red and green grapes demonstrated low blood pressure , lower inflammation, better functioning of heart at the end of a study conducted for 18 weeks. Grapes are also rich in potassium and fiber that are good for maintaining the health of your heart.According to many health experts if you can increase the intake of potassium and decrease an intake of sodium simultaneously, it will be a good change in the diet for bringing down the risks that are related to cardiovascular diseases. Benefits against cancer: Grapes have antioxidant properties that offer protection against cancer. Several studies hand laboratory experiments have proved that extract of grape seen can kill neck and head cancer cells and leukemia cells and can help in preventing the growth of prostrate, stomach, lung, breast, and colon cancer cells. Grapes constitute of strong antioxidants like polyphenols that can slow down different types of cancer. Health for brain: Studies conducted on animals at University of Houston found that a diet enriched with grapes reduced anxiety and memory related problems in rats. Grapes are rich in key antioxidant components that have been associated with health of your brain. In the year 2008, researchers have also found out that grapes possess resveratrol that reduce formation of plaque which is a key factor linked to Alzheimer’s and other similar diseases in brains of animals. 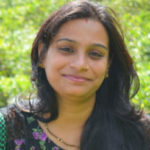 Consumption of vegetables and fruits of different types have been associated for a long time with lower risks of cancer, diabetes, heart diseases and various other conditions. Several studies have demonstrated that the risks of overall mortality and obesity can be decreased by consuming plant foods including grapes. As discussed above, grapes feature certain special qualities that make them immensely essential for our health and give them the status of “super food” and reduce risks of many of the ailments that we discussed in the previous sections. One of the best features that can be associated with grapes is that you can have them throughout the year as they are always available. You must choose those grapes that do not have wrinkles and are tight while you touch them. The best way to store the grapes would be by putting them inside your refrigerator. You should always wash them before eating. The best way you can eat grapes is right from your hand while they are absolutely fresh. Many of the grape wines, juices, spreads and jellies have sugars added to them which tantamount to intake of extra undesirable calories.